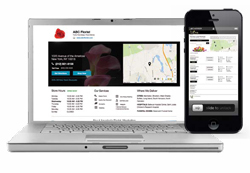 FTDFlorists.com is an online directory that helps connect consumers with FTD Florists. As more consumers search on their smartphone, this mobile-optimized directory is the best solution for marketing your business online. FTD Florists can also leverage the well-known FTD brand to help drive additional traffic directly to your website. Click Here to visit FTDFlorists.com. Contact FTD Florists Online Gold Support at 866.926.5197 for more details.